Are you looking to decorate your house for the Holidays with a homemade craft project? The Mason Jar Christmas Candle is super easy to make with your children and also perfect for gift giving. 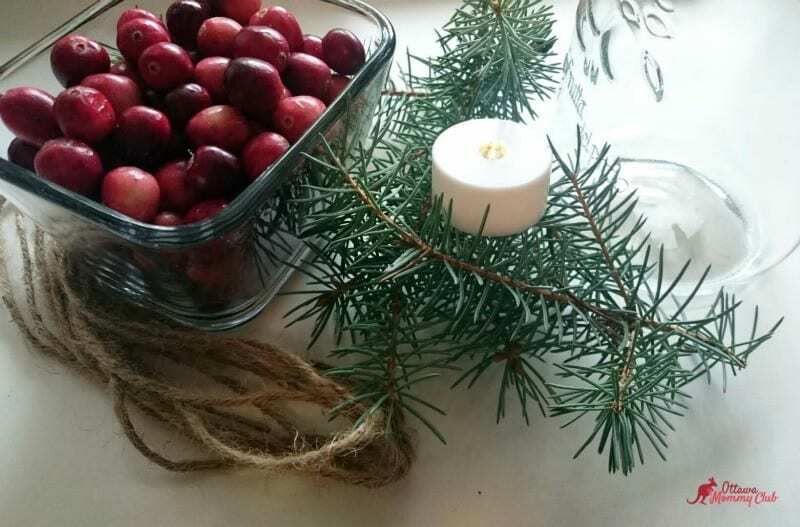 If you can use fresh cranberries and sprigs pine, it will give it a more authentic look, but plastic pine and beads are also good. It will light up any room! You can add a few drops of your favourite essential oil (optional). 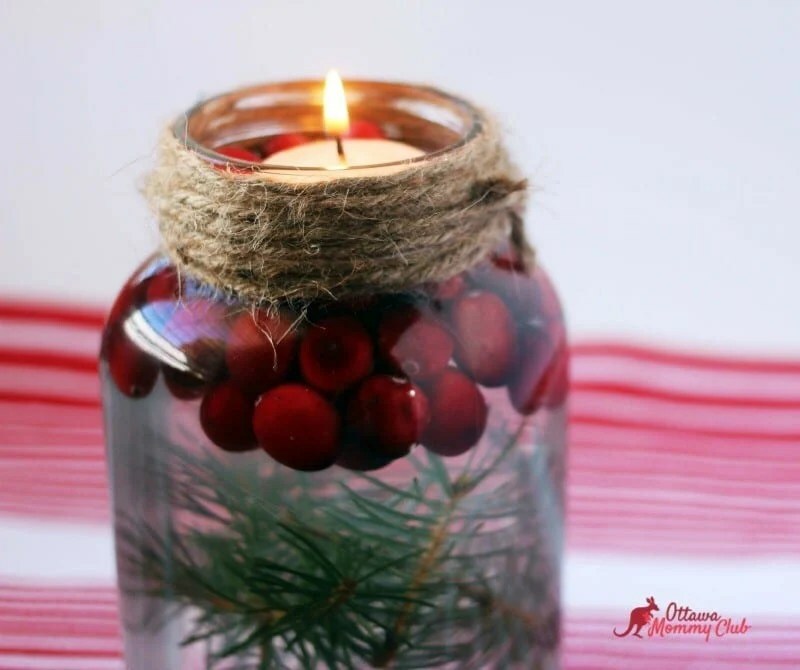 If you are planning to gift your jar, glue the twine instead to the lid and omit the water. 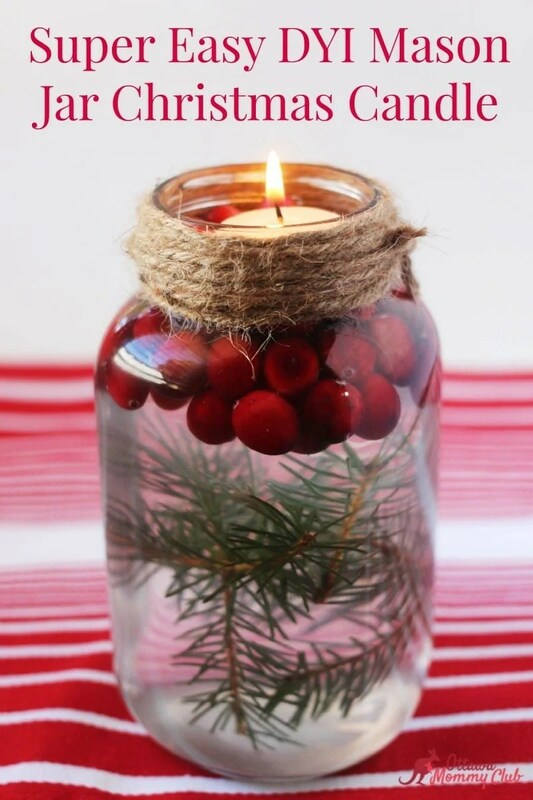 Looks very festive….simple to make……I love it !! Cute and rustic, love it. Thanks i will be keeping this for next year ! This looks so nice on the counter i made a fresh one! I know Christmas is past but this DIY is so festive and inspirational and easy to do.I am goig to make a few if these.They are really pretty. This is so very pretty and so easy to make.I love that it looks very festive too.Thanks for the great idea. This candle is beautiful and I love how easy it is to make it. This is a great idea for a Christmas craft. This gift idea is so professional, graceful, and lovely. I quite enjoyed reading this. I love the look of the cranberries in the mason jar. They look great! This is so festive and easy to make too.